COLD HARDINESS: This form of Chamaerops has shown to be a touch hardier than the standard green variety... although , to what degree remains up for debate. 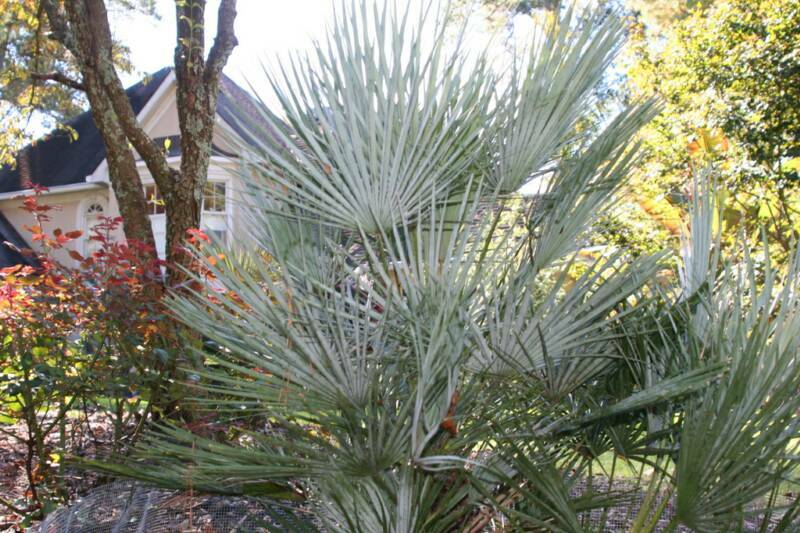 Should survive most Zone 8 winters unprotected if given proper care and protection while still young. 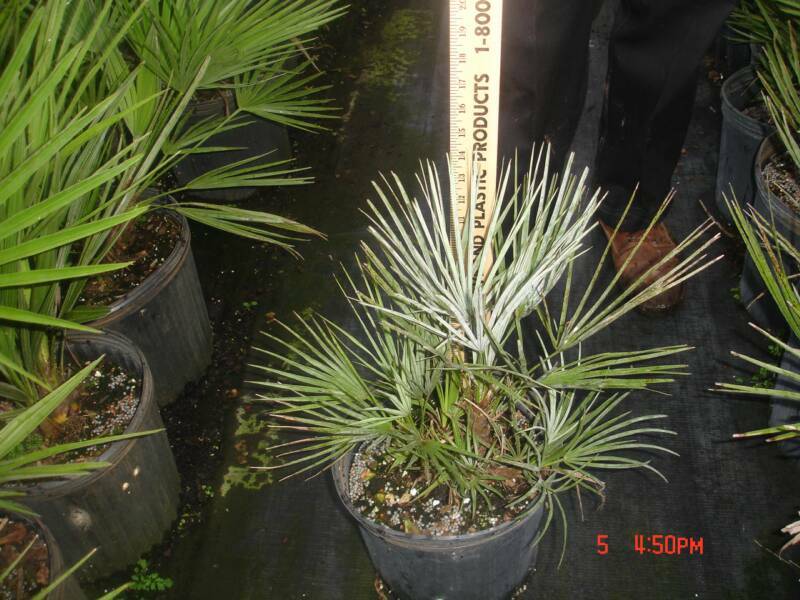 These palms are much more rare in cultivation than their green counterpart and they grow much slower too. Silver Ceriferas are available in limited numbers only.